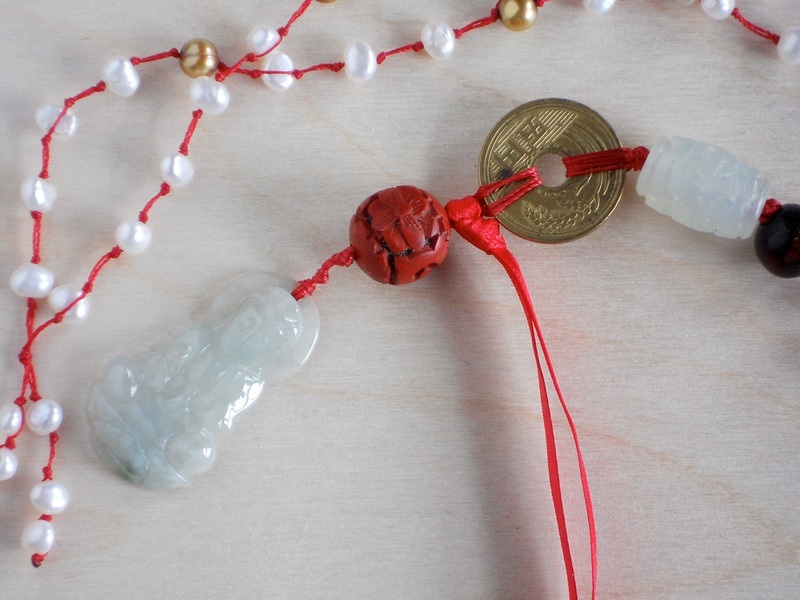 I’m very excited that Eclectic Gallery, a lovely gallery on Oak Bay Avenue, is now carrying some of my necklaces and bracelets. 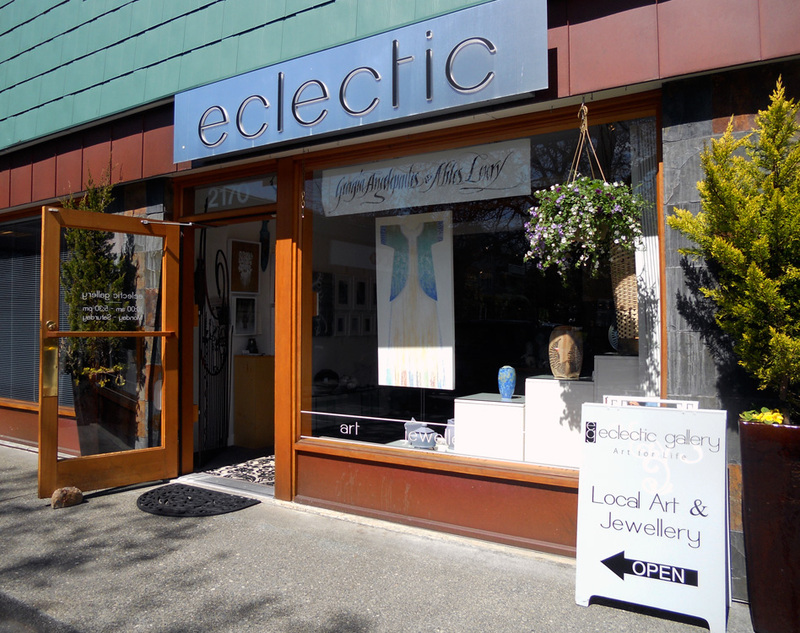 Eclectic Gallery, 2170 Oak Bay Avenue, Victoria BC. 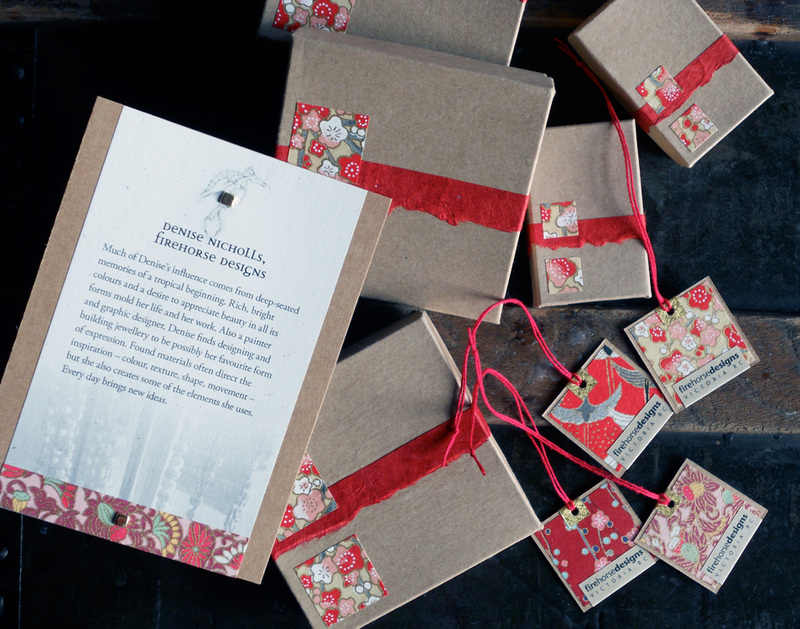 Some gift boxes and tags for the pieces at Eclectic. 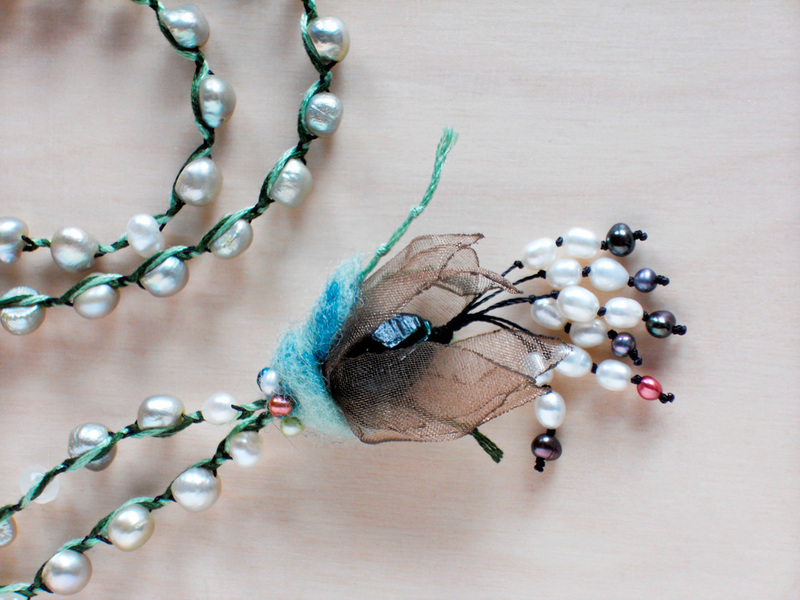 One of 11 necklaces now available at Eclectic. They have many jewellery artisans represented. 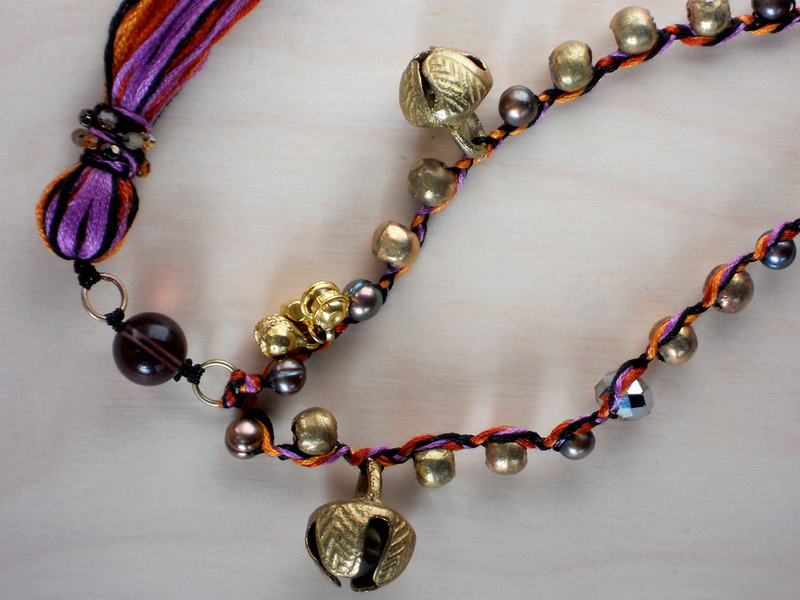 This is another piece I’m fond of; fun summery colours with cheeky brass bells. I was please they took this piece, one of my favourite recent designs.